Thank you for stopping by! 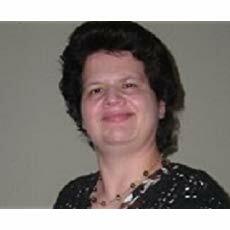 Recently we announced Breaking the Barriers: A Girl’s Dream to Play Little League with the Boys by Robbin Miller as one of the Reading with your kids Certified Great Reads. 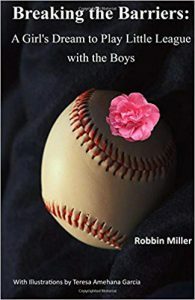 Today we have Robbin joining us on the podcast to talk about her wonderful book that is inspired by the powerful story of Robbin Miller playing the little league with boys in 1975. We hope you and your family enjoy reading Breaking the Barriers as much as we did. We also hope that this book will be a great help in inspiring girls to have a choice to play little league with boys and to stand up to the obstacles they may encounter along their journey! Congratulations again to Robbin Miller for winning RWYK Certified Great Read Status for Breaking the Barriers: A Girl’s Dream to Play Little League with the Boys! What inspired Robin to write Breaking the Barriers: A Girl’s Dream to Play Little League with the Boys? How did Robbin feel when she was denied to play the baseball with boys? What kind of reactions did she receive from the adults when she finally made it to the team to play the little league with the boys? Robbin also mentions how society has still not changed for girls. How her book inspires girls to stand up for themselves with grit and determination and to never let anyone tell them what they can and cannot do. What is Robbin currently working on and much more.